So you’ve planned a kids party, maybe for a birthday, christening or youth club event, but how are you going to keep all the children entertained? 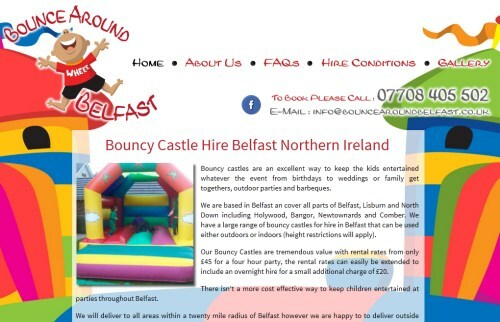 Kids have boundless amounts of energy so what would be better than hiring a bouncy castle in the Belfast area from Bounce Around Belfast. Rental is extremely affordable and the staff will fully assemble and remove the castle for you.